It’s inevitable there are times when you have to void a check. There are several reasons this can happen when a check is a duplicate, is lost and rewritten without being corrected properly. When bank reconciliations are done, it’s a great time to review outstanding checks for errors that need to be corrected. 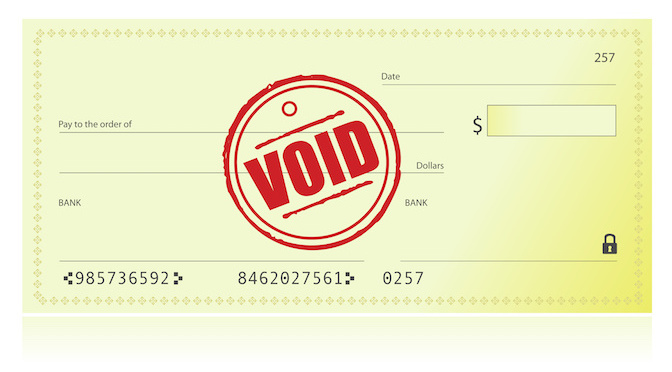 When you need to void a check, there are several things to consider. Here a few tips to ensure it is done properly. If the check is in the current period, simply change the amount to zero. Leave everything else alone. If the check is in a prior year, you have to be careful. It can create a mess with your balance sheet that could tie back to your tax return. We suggest making a deposit entry for the amount of the voided check. In the memo write Void Check #, who it was issued to, and original date. In the account section, you can either use the original expense account as in prior period or write off. Consult with your CPA or tax preparer what account they prefer you use to clear our your old outstanding voided checks. If this check is a payroll check, and all payroll tax returns have been filed, voiding this check can have a huge effect on your books. The best way to handle this is to NOT void the check and to reprint it using a new check number. Ensure that the employee cashes the check. If the employee cannot be found, consult with your CPA or tax preparer how to proceed and if the above method would be appropriate to write it off. You always want to be careful to void in QBO because the data is coming from bank feeds and possibly tied to a bank reconciliation. When you open up a transaction and select MORE to choose void, you will get this pop-up message whether the check is has been reconciled or not. 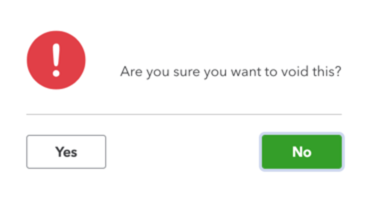 If you answer yes, this will void by zeroing out the amount. If tied to a bank reconciliation, you will need to undo and redo bank reconciliations to make a full correction. If you find that you need help cleaning up your checks and you aren’t comfortable doing it without assistance, click here to schedule a consultation with one of our team members.